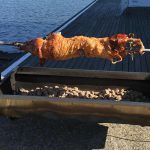 Cooking on a spit for a special gathering is certainly a memorable occasion. 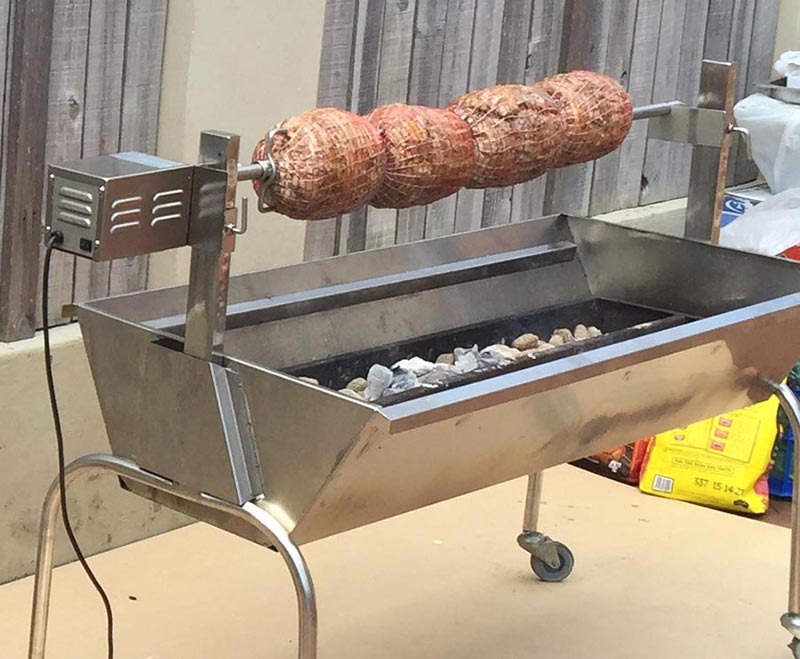 Nothing beats the smell, sound or flavour that comes from spit roasted meats. 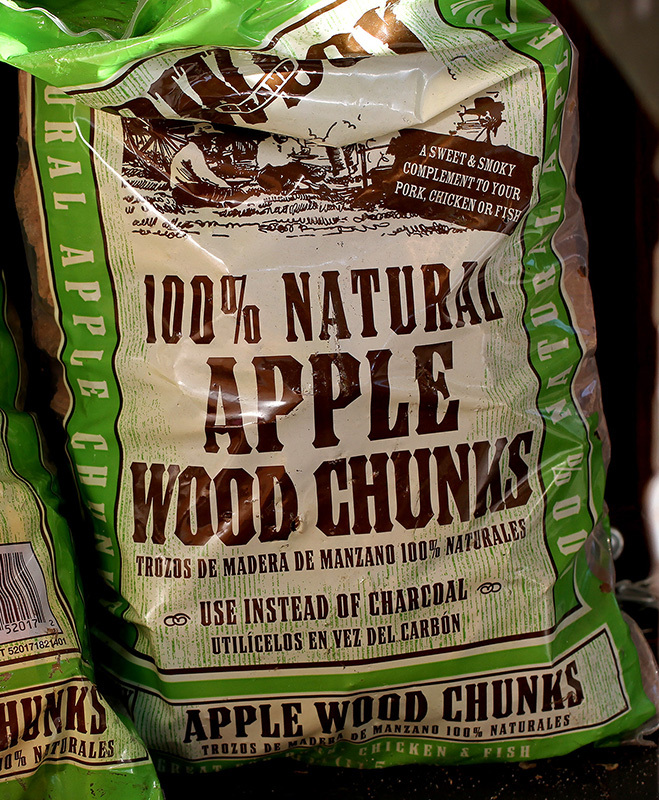 At Millin's, we are only too happy to help in making this as easy as possible, with our large, industrial quality charcoal spit for hire. • Whole suckling pigs range from 14-25 kg and feed approx 20-60 serves. • Whole lambs range from 16-24kg and feed approx 30-60 serves. • If you wish to go with the boneless roast option, a serving of 150g-200g per person is a good guideline. Cooking times will vary depending on the meat you wish to cook. The best way to tell when your meat is ready is by using a meat thermometer which we also supply with the spit. This will ensure the inside is cooked and ready to be rested before carving. Charcoal takes approximately 45 minutes to heat up before you place the meat on to cook, cooking then will usually take 4-5 hours depending on the size of the meat and the weather conditions. You will need to purchase about 20kg of charcoal to fuel the fire. 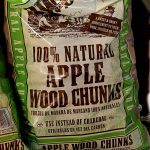 We also stock a range of flavoured wood chunks and chips to add unique smokey flavours to your meat if you feel like getting adventurous. We're happy to offer advice about these to help you get the most out of the meat and really impress your guests. 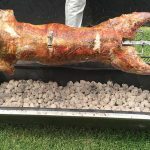 Spit roasted meats are better done low and slow and it is much easier to slow the cooking process down rather than speed it up because you have hungry guests. If you are planning on eating at 2pm, light the fire at approximately 8am. This will give you plenty of time to cook, let the meat rest and enjoy the day! 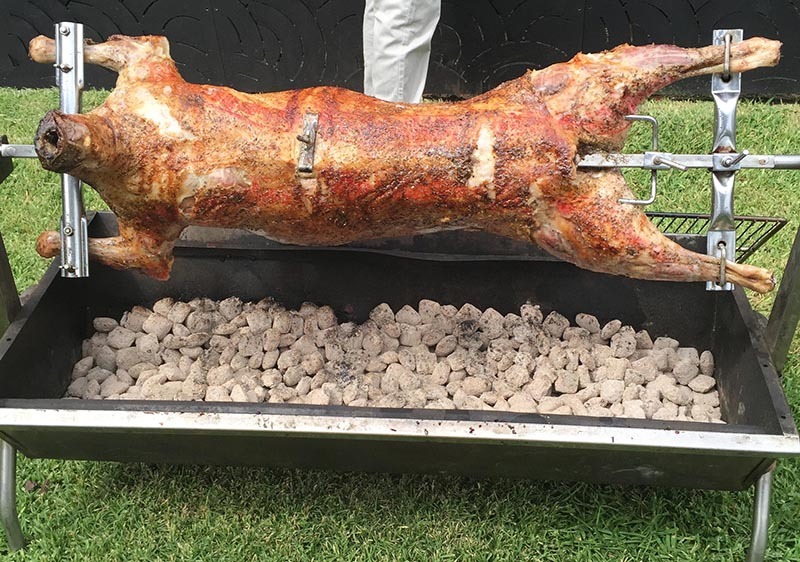 A whole lamb is approximately $280 and a whole pig, approximately $300. 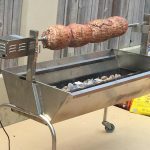 Our spit is $100 to hire on top of the cost of your meat from us. 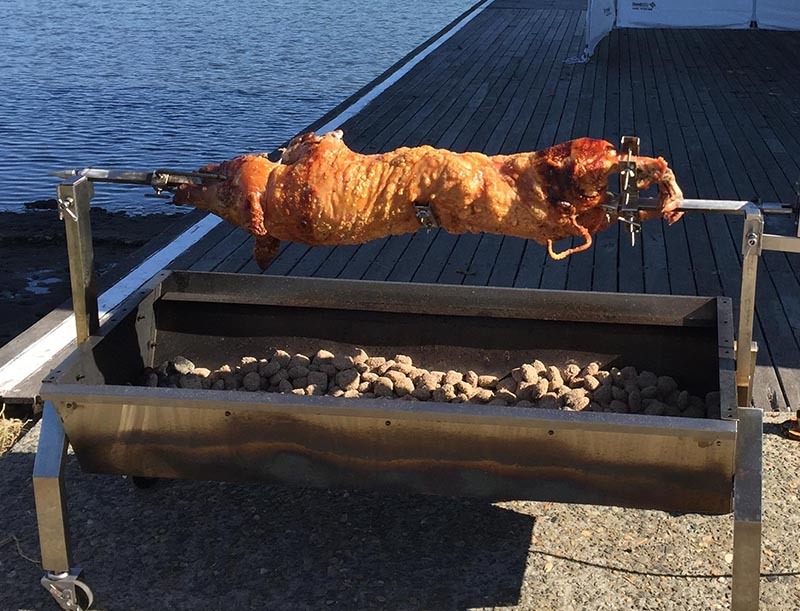 We are happy to deliver the spit with the meat on the rod and ready to roast within a 5 km radius. A $70 cleaning deposit will be taken and refunded on delivery of a clean spit, and don't worry, you can sit back and enjoy your event and return the spit within a couple of days. If you have any questions please don't hesitate to call the shop on 9948 1342 or contact Millin's online.